The year was 1932 and the Great Depression was taking its toll on the majority of the world’s inhabitants. After losing his job, Ole Kirk did what any sane man would in his situation — he began his wooden toy business. Initially, his venture was having a hard time making money, as one might expect due to the unfortunate circumstances. Keeping cost efficient designs in mind, he focused his efforts on simple wooden blocks, ducks, and tractors. Then, things took a turn for the better and Denmark’s economy slowly but surely bounced back. The children loved Kristiansen’s wooden toys so much that his business started to prosper. Then his son, Godtfred, joined the company. Several wood factory fires later, they acquired a plastic injection molding machine to open up new materials options in 1947. It was a few years after this that we saw the inevitable system begin to take place. The LEGO system entails perfectly sized and shaped blocks that all fit together to create an ideal world. The system is still very much active in the LEGO design, and it will continue to be until the end of time. However, the end of Ole Kirk’s time came too soon. What he left behind for his son was the beginnings of a toy empire. Initially, the plastic LEGO blocks that came out were not interlocking. Can you imagine LEGO blocks today not snapping together? There would never be the issue of the tiny flat pieces snapping together for eternity. Alas, it was figured out rather quickly that they needed to engineer a more sturdy design so that the block creations would not be destroyed by siblings so easily. In 1958, the same year that the father of LEGO ended up dying, they submitted the patent for an interlocking plastic LEGO block. Three years later it was approved, and they had lift-off. Fast forward three more years, and manuals started showing up in LEGO kits. The kits were becoming progressively more complicated, to the point that children would have a harder time figuring out how to build the bloody thing without the manual. This increase in difficulty for specific kits perhaps increased the enjoyment once the kit was complete; as we all know, the harder it is to do something, the more satisfying it is when you do it. The addition of the interlocking feature in the bricks truly was the turning point for the toy. In the early 70’s, Godtfred’s son, Kjeld, joined the family business. He created a research and development center that was essential to updating the LEGO kits as time went on. The designs of the kits kept evolving, and research showed that additional parts needed to be created to bring the sets to life even more. The next revolutionary addition to the LEGO toys was the minifigure, shown to the left. These adorable smiling figures truly brought the LEGO scenes to life, which is the whole point of this company. As I am sure most LEGO buffs already know, the word “LEGO” comes from the Danish words leg and godt, literally meaning “play well”. This phrase encapsulates the company almost as much as their official slogan, det bedste er ikke for godt, or “only the best is the best”. But how does it work, anyway? Is it LEGO? Legos? Eggo? The grammatical confusion of how to properly write the word LEGO — both singular and plural — has frustrated a surprising amount of people. It seems that the LEGO authorities want the form of the adjective to always be singular and capitalized. Lots of American citizens, on the other hand, seem to enjoy practicing their freedom of English speech and use a plural form of the word un-capitalized. The fight on how to display the word seems to be never-ending, for some reason. Maybe it’s just because people like to argue for the sake of arguing (we’re looking at you, commenters). LEGO has a way of catering to its customers. If you don’t have the 4016 piece LEGO Death Star proudly assembled on your coffee table right now, then can you really call yourself a true Star Wars fan? One of the many reasons that the LEGO Group was — and still is — so successful is because they knew how to evolve when times changed. Their core beginnings were very simple, but as the toy business grew more complex, so did their marketing strategies. How many of you have a LEGO Millennium Falcon sitting at home? A LEGO Indiana Jones Temple Escape set? What about the LEGO Ghostbusters Firehouse Headquarters? I am willing to bet that at least one of our readers has each of these. Let me know in the comments if I’m wrong. Alternatively, are there any antique LEGO Space Shuttles out there? A classic castle set, perhaps? These are two of the most iconic LEGO sets ever created, and the company admits to often going back to these bread and butter kits for stability. The LEGO Group does a very good job of integrating both of these components into their model to ensure that the company will continue on while being able to take risks. The 1998 LEGO Mindstorms series is the best-selling LEGO line of all time. Instead of selling to kids, the majority of buyers for this specific product were PhD students and professional coders that wanted to mess with them, at least at first. However as time has progressed, this has been an invaluable learning tool for students and adults alike. Homebrew interfaces and designs were created, physical modifications were made, and bricks were “bricked”. We featured an article earlier about a LEGO exoskeleton controlling a robot that uses a LEGO Mindstorms NXT system. Before that even, the FIRST LEGO League was created. It draws students in to hack the Mindstorms and get more comfortable with hardware/software in general. Learning about robotics/computer science for the first time can be daunting, but it’s a lot easier when working with something you’re comfortable with. Who isn’t comfortable with LEGO? The LEGO Group has effectively made its presence known to all the far reaches of the world, but none of that would have been possible without the ingenuity and sincerity of Kjeld, his father Godtfred, and his father’s father Ole Kirk Kristiansen. Their goal of giving every child the opportunity to have a meaningful playtime is being achieved everyday by the company that they built from the ground up. I just got the new Lego Bugatti Chiron for father’s day, holy crap have LEGOs come a long way. I was given a LEGO Ferrari F-40 for my birthday a couple of years ago. I love it too much to open it! Top marks for the proper use of ‘Lego’ in your writeup. They didn’t mention the lego trains that grow to fill people yards. Holy Mother of God! That’s super awesome! I should have taken Dramamine before watching that! I’m guessing that person works at LEGO, or has an unbelievable amount of “disposable cash”! Some time in the mid to lat ’60’s, my parents got these for me… They were sort of LEGO’s poor American cousin. Similar in concept, but made out of a different plastic, and with thinner walls. And unlike LEGO’s, they were prone to breaking in a way that would prevent stacking them together. There must have been some kind of subscription model involved because ever now and again, my parents would give me a new “idea sheet” that would have an overview of new designs that could be built. 1960 having graduated from Lincoln Logs we had those red bricks without modern accents, just postwar uniformity. They could be somewhat agile, I remember making a tall Pentagon. Then came Skyline girder and panel plastic high-rises, Bauhaus style. I remember that game. Because there was a licensed toy from American Bricks (Playskool?) named “Estralandia” in South America in the 80’s. They were pretty common in that time due to imports ban policy of the government. I still have some bricks, don’t know where .. In the 1970’s Lego introduced a set of gear wheels (3 sizes) with axles and blocks with holes to take those axles. The wheels could also be attached to the Lego motor. Anyway, that gear set was the best Lego set I ever had. Literally hundreds of hours of play. I had a couple awesome LEGO Technic sets. One was a dunebuggy with a piston engine and working differential, and the other was some construction equipment with pneumatic actuators. There are some really cool sets out there. I bought the dune buggy (assembled) at a thrift store, yes, cool! It also came with some kind of swamp boat (propeller and rudder) also cool! The propeller was rotated through gears attached to wheels underneath the boat. In spain we had TENTE, another brick game. In fact, LEGO demanded Exin, the owner of TENTE, but loosed the trial because the interlock system was completely different. In fact it was even better, because it allowed to interconnect pieces in odd ways. There’s a flashback for me. Growing up in Canada, I somehow ended up with a Tente set that made a tour bus. This would have been late 70’s early 80’s. Totally forgot about that. Since it wasn’t compatible with my LEGO sets, it languished in the toy box and eventually disappeared. Tinker Toys and Lincoln Logs. Waiting for the invention of ABS. Or plain ol’ wooden building blocks! As a grown up, you can still play with TinkerToys; but we call it Creform. Check it out, use it at work all the time. I came across a nice video of the history of LEGO. Strictly speaking, it says “the best is not too good”. If that was at LEGO, why aren’t there pieces on the table for employees to play with? A local brew pub here has small plastic tubs with LEGO pieces for their patrons to use while waiting for their burgers to arrive. LEGO TECHNICS was the push point. Classic brick only went so far. Adding the ability of mechanics and mechanisms dragged the platform to more than static ‘blocky’ models. Suddenly a roll a round mockup of car had working steering, drivetrain, active suspension, simulated piston motor, sleek body style and on. All in a tool-less assembly advantage. Easy to keep clean (washable disinfectant capable) water resistant basic build elements answered complaints of other build systems. Plastic smell was more acceptable then zinc or nickel plated metal too. Stainless steel in modern metal sets attempted to answer but still a metalic smell remains and tools required. Wood material having its own list of failings. With addition of electric little motor and Gear set LEGO had Finally began to compete with Erector and Meccano and the various other metal building sets in realistic functioning models. Furthering LEGO to its’ present standing was the inclusion of microcontroller with sensors and simple drag and drop Graphical User Interface. Keyed interface ports and Smart Servos with rate/position and force feedback simplified the design so as to let those who could’nt put the batteries in a IR TV remote in proper orientation to design working complex programmable machines. It should be said that I started this rant with a single line of ‘Erector still rules ‘ and something about real programmers dont use drag and drop, but afternoon coffee took hold. I’ve washed LEGO pieces in the top rack of a dishwasher and in a washing machine. Put them in a mesh bag typical of those used to launder “unmentionables”. If in a washing machine, include clothes, or towels. I dishwasher can get too hot. I’d recommend putting the stuff in one of those washbags, then put the washbag inside a pillowcase (or even better a bag sewn from some old towels) then putting it in the (clothes) washing machine at a low heat (30 degrees or even just cold) on a delicates cycle, centrifuge at low speed. When you buy LEGO at thrift stores, you might want to wash them before playi^H^H^H^H^H working with them. Ah yes, the good old times, when LEGO consisted of bricks, and not four pieces of weirdly shaped plastic that can’t be assembled any other way than the instruction says. Agreed – that was when LEGO “jumped the shark”. Maybe it is available somewhere, but I’d like to be able to buy in one box/bag, a company/platoon of Clone/Storm Trooper mini-figures! Agreed. It felt like cheating and was frustrating at the same time. I see the kits nowdays which are impressive but also feel a bit overdone and soulless. I have all my LEGO (less lost pieces). Used them in university in the early 90’s for a astronomy project, used them a few years ago to POC a 3D printer idea (never materialized). Will keep them until they pry them from my cold dead hands. Was worried when some of the sets starting coming with overly specialized pieces that were too specific. The more generic the better. The sets with a few large pieces that were clearly some kind of trademark campaign struck me as a sell out – the point of the pieces imo was to encourage kids to create. Not just another snap together pre-fabbed doll house. TECHNICS and the Mindstorm NXT series restored my faith in the direction of the LEGO system. The Engineering “club” from a Milwaukee university, often sets up tables of LEGO pieces under a large tent at several festivals throughout the summer. Two years ago, I went around to all the tables picking up roof/shingle pieces to build a couple of buildings..
We spent six months in Copenhagen starting in the fall of 1964, so we must have found Lego there. Just few years after the patent for the plastic Lego. I can’t really remember before Lego, or even how we found it. There was a clear brick with tiny bulb inside, hooked to some odd battery type that seemed specific to Denmark. I assume we got it there, but maybe after we came back. What I remember is not big able to light it up, no battery. I had a Meccano set later but it was never as useful. Though maybe we had a larger Lego collection, making it easier to build with it. I also had that light bulb brick. it was intended to be hooked up to the Lego battery holder which was just a expensive box for a 4.5V battery. 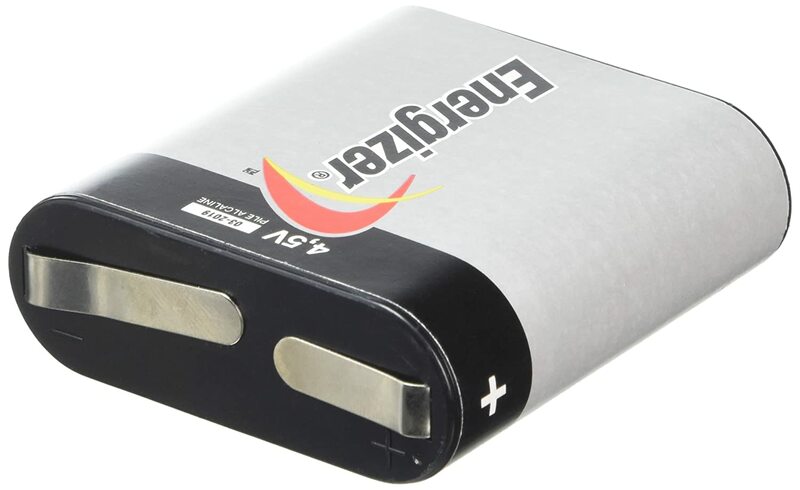 Believe that 4.5V battery was a standard Euro bicycle light battery. Oval cross section with two long springy contacts coming off the top? That’s 3LR12 or 3R12 battery. +1 for using the 3909! At 5:09 in the video that’s Sandra Dickinson (Trillion in the TV HHGtG) if I’m not mistaken. You don’t trip over LEGO it’s designed to lay on the floor with the sharpest hardest point uppermost. Lying in the darkness ready to stab the soles of your feet in the early hours of the morning…. K’nex have the better reputation of foot friendliness but not aS cool as LEGO. K’nex have their own STEM/Robot setup. For proper foot gouging Gilbert Erector or clone of same era. Right angle caltrop goodness and screws can remarkably mess up impeller /belt on vacuum cleaner. i used to have most of those 80s and 90s space sets. unfortunately i gave them to my sister and she didnt take very good care of them. lost a lot of pieces, destroyed many others, and ended up giving them away (literally thousands of dollars worth). i was pissed off about this and never gave my sister another thing since then. fortunately i kept most of the technic and mindstorms sets separately and i still have those. My Lego sets from the late ’70s work perfectly with my daughter’s Lego sets of today. That is the definition of holding quality to specification…. Saw a really good Lego documentary recently. I think it was on Netflix or PBS. Like Marconi and Edison’s most known inventions, Lego bricks were based on earlier work. Yes I was going to bring this up too, since the “history lesson” left this rather material issue out. That made my feet get sore again. …. now that the kids are gone…. DO NOT TRHOW THEM OUT. … they make great microwave and coffee pot stands. Real useful around the kitchen. In the living room the remote control finally has a good home. Easy to make adjustable monitor stands. Need a B-day gift for one of the neighborhood kids? Give ’em on of the banker’s boxes of legos out of storage. The parent’s will remember you forever! Anyone else remember when Technic was called Expert Builder? My first experience with Lego was in the late 70s when I was just 5 or 6. I had been given a small set consisting of a few blocks, a couple of axles and wheels, and some slanted pieces. I was hooked! By the time I was 12 I had literally thousands of Lego bricks of all types. That was about the time that I received an Expert Builder set of an automobile chassis (set #8860), complete with steering, spring suspension, a 3-speed transmission, and a 4-cylinder boxer engine with square pistons. I had endless fun building, modifying, tearing down, and re-building that set. By using the principles I learned from it, I built many other Lego car models over the years, often expanding on one mechanism or another in the process (such as when I spent weeks trying to figure out a front wheel drive system that included steering and spring suspension). Most of my old Lego bricks are still around, but are in the possession of my 25 year old son. The Expert Builder set you mentioned is interesting, especially with suspension and rear engine. I had (and still have) set 956, which is longer with engine in front, but has no working suspension. Square pistons! That certainly was a “boxer” engine! I have to point out that “det bedste er ikke for godt” actually means “the best is not too good”. The translation “the best is not too good” is a bit ambiguous–out of context, it might be taken to mean “even the best is bad”. I’m guessing “the best can still be improved” might be closer to the original meaning. I just love the Saturn V set, made a little launch shelf with ‘animation’ next to my desk. 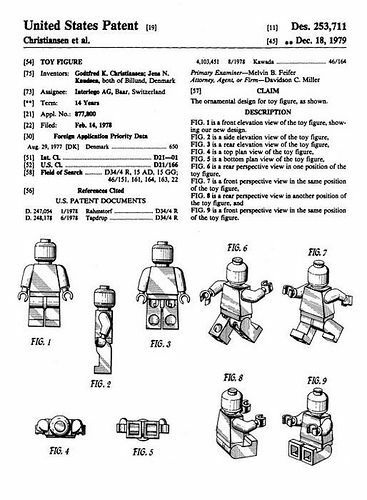 Many of Lego’s patents are expired. 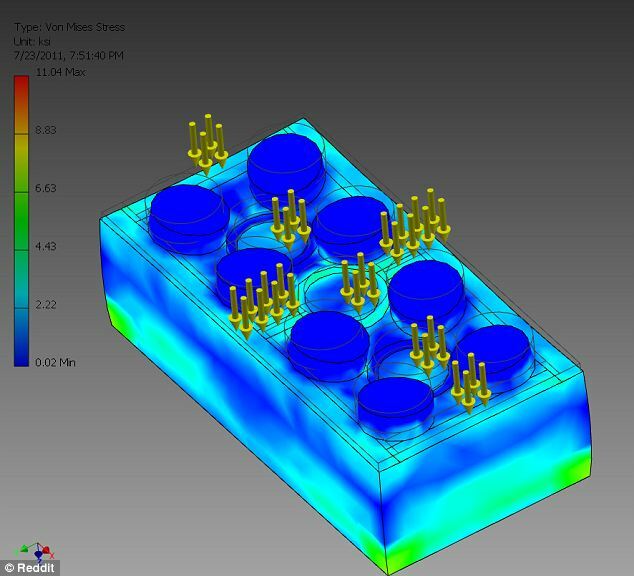 the tolerances are often too close for 3D printing. That said (written), HaD had an article years ago about someone printing blocks that adapted various construction pieces (e.g. tinkertoys, lincoln logs, lego, erector sets) together. Megabloks from here in Montreal is compatible, and survived a court challenge, at least when it is selling here in Canada The Lego entry at Wikipedia covers this. You forgot the bit of the story where Kirk Kristiansen stole the idea from Hilary Fisher Page who first created the bricks at Kiddicraft in the 1940s. They copied the design without licence when they bought their first injection moulding machine. I recall having tinker toys, Lincoln logs and even an erector set, but no Lego; should I feel deprived?